Did you say "Orlando beaches"? Take a look at this map of Florida. You can probably figure out pretty quick that Orlando is actually in central Florida, and not on the coast. Therefore, there really are no actual Orlando beaches. (Unless you count Disney's Blizzard Beach or Typhoon Lagoon.) That doesn't mean you can't go the beach while visiting Orlando. You see, what you probably don’t know is that from most any point in Florida you are never more than about 60 miles from the coast. Orlando is no exception. In fact, you can get to some of the best beaches in Florida within 30 to 90 minutes of Orlando. 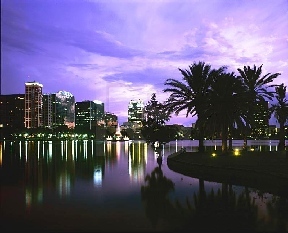 So if you are thinking it would be great to do some kind mix of the Florida attractions and some time on the beach, Orlando is perfect for you. It can provide both the excitement of Disney & the Florida attractions, as well as the opportunity for a great beach vacation at the "Orlando Beaches". Orlando is an amazing place. My family and I live a little north of downtown, and we love it here. It is a beautiful town with so much to do. 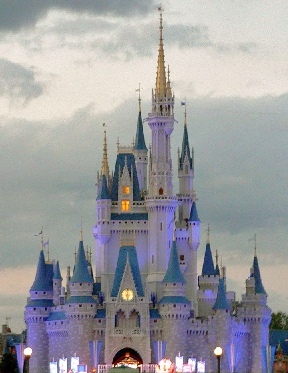 Everyone, at some time or another, wants to come to Disney, of course. It is a great place, especially for the young and the young at heart. There is so much to do, you can not possibly see it all in a day, or even a couple of days. Realistically you need at least a week, and I am sure there would still be aspects of Disney that you did not take advantage of. By the way, Disney's waterparks, along with Wet & Wild and Sea World's Aquatica, are truly the only Orlando "beaches" in the metro. All Of them are a lot of fun. Believe or not, there is way more to Orlando than just the House of Mouse. Our favorite place is Universal. Although not as massive as Disney, it is tons of fun. It’s like experiencing your favorite movies combined with the thrills of a high energy amusement park. With the addition of Harry Potter's World of Wizardry, this is an incredible place. What a blast! There are tons of more local attractions as well. Everything in Orlando is done in a way that captures the imagination. Just going to dinner can be an extraordinary experience. Suppose though you want to take a break from the parks, relax for a little bit, and maybe cool off a little. 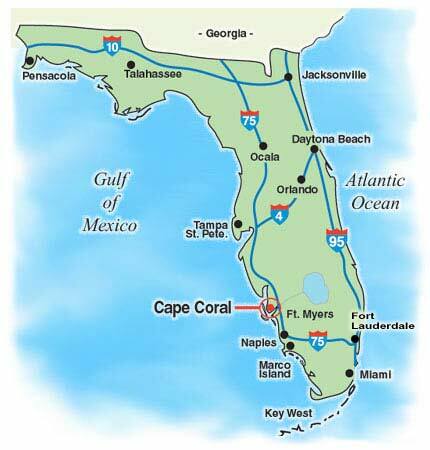 From the attractions area, you can easily get to both coasts of Florida. Just as with the multitude of attractions, you have lots of great choices, even with the beaches. The beaches that are actually thought of as the Orlando beaches are on the Atlantic coast and can be reached within 30 to 45 minutes. They literally are a straight shot out of the attractions area via a toll road we locals call the Beachline (Hwy 528). This road will literally drop you right on to the north side of Cocoa Beach. 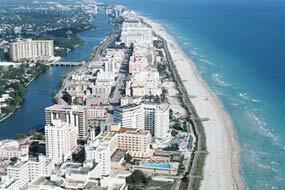 You can then visit Cocoa Beach or go south to several nice beaches. It is this convenience that has given them the title of "The Orlando Beaches. Cocoa Beach is one of the original tourist beaches in Florida, and as the concept implies, it has more to do then just your average beach activities. Still it is a great family beach with lots of fun, and this is the beach that is the one thought of as the Orlando beach. The Atlantic beaches, like Cocoa Beach, are far more known for their great surf than the Gulf side is, and Cocoa Beach is considered one of the great American surf beaches. So much so in fact that the first of only 2 world famous Ron Jon’s Surf Shops is located there (the other is actually in Orlando). 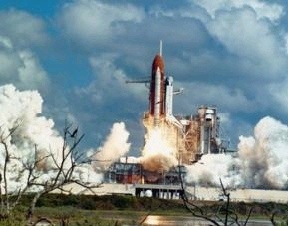 In addition to all the beach fun here, just a few miles north of Cocoa Beach is the Kennedy Space Center. The beach is so close it serves as a grandstand for rocket launches. Our family has even stood in the ocean and watched a shuttle launch. Talk about cool!! If you want to take it a step further, the space center has a museum and tours of the facility available, which is well worth the experience. If you are wanting something a little more tranquil, there are some very nice beaches just to the south. In fact, there are miles and miles of wonderful beaches right there along Hwy A1A. In you want to stay close, I would recommend the communities of Satellite Beach, Indialantic, and Melbourne Beach. You can’t go wrong though. They are all terrific beaches that are just a short drive from Orlando. If you are serious about getting away from the whole magic kingdom feel of Orlando, there are a couple of options that would feel like a whole other vacation, while still being easily accessible. Orlando is smack in the middle of what we call the I-4 corridor. I-4 is an interstate which runs from Daytona to Tampa Bay and passes right through Orlando providing easy access to both coasts. Daytona Beach is on the Atlantic, to the northeast of Orlando. It is promoted as the World’s Most Famous beach, and is home to the Daytona 500 and Spring Break vacationers from all parts of the country. The gulf beaches of the Tampa Bay area are to the southwest of Orlando. These beaches are the beaches that many a dream of tropical vacations are made from. Warm waters, beautiful white powder sand beaches, and gentle tropical breezes make their home on the Gulf Coast. Here are some excellent Tampa Bay area resorts. Which ever direction you go on I-4, it will take you roughly 90 minutes to hit the beach from the attractions area. Both Tampa & Daytona have airports, so you could even start or finish your vacation with the convenience of only driving down I-4 once, if that is easier for you.